Bob Harris celebrates his 70th birthday today. Music-loving Bob has always carefully crafted his radio shows and championed the cause of many musicians. 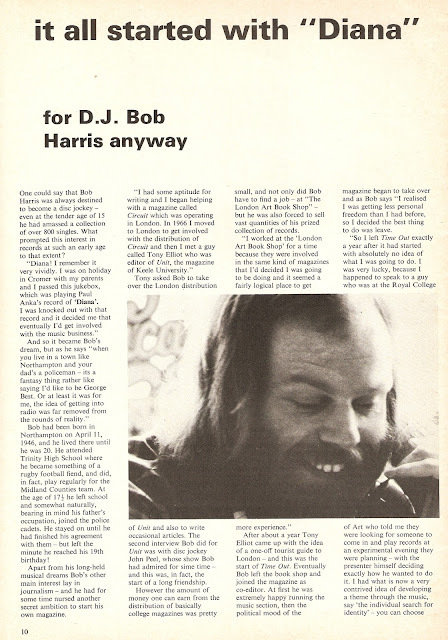 This was more than evident in this weekend's Radio 2 show - for some mad reason tucked away at 3 a.m.
Back in October 1972 Bob was interviewed for the new magazine Deejay and Radio Monthly and recalled how he got his break into radio. He'd been playing records as part of an experimental evening at the Royal College of Art and four months later was interviewing Radio 1 producer Jeff Griffin for Friends magazine. Jeff "remembered this thing at the Royal College, talked to me about it and asked me to do a pilot show for Radio Three". "I took the list of records and ran with Jeff through the way I'd presented them - so in fact the pilot I did was based on the programme I'd done at the College. We directed it at Radio Three initially because Jeff thought it might be a little heavy going for Radio One - but in fact they were at the time already running a pop music series, and they never run two simultaneously. So Jeff re-directed it to Radio One - not as a programme idea, but as an illustration of what I could do." 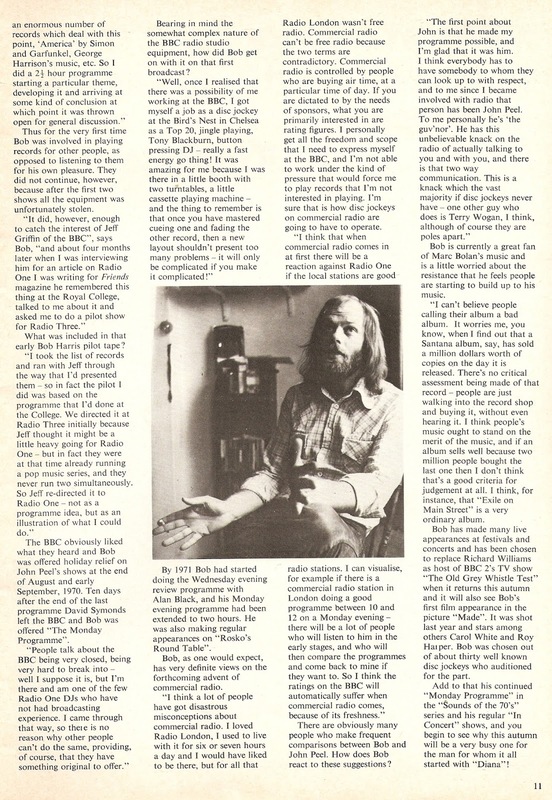 The BBC liked what they heard and Bob was offered holiday relief for John Peel in August and September 1970. This is his first Radio Times billing (via BBC Genome). The following month, following the departure of David Symonds, Bob was offered the Monday night edition of Sounds of the 70s. Bob, now also presenting The Old Grey Whistle Test, left Radio 1 in 1975. Controller Derek Chinnery "didn't much like the kind of music we features on Sounds of the 70s". In fact the station was having to trim back its broadcasting hours as part of a round of yet another financial belt-tightening. After that Bob recorded some shows for Radio Luxembourg but wasn't regualarly back on air until 1978 when he joined Radio 210. Keen to return to the Corporation Bob accepted a drive time job with Radio Oxford in 1981. 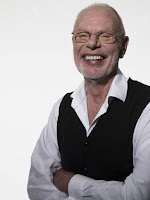 By the mid-80s he was also appearing on LBC, Radio West and Radio Broadland, BFBS and The Super Station. In 1989 he was finally back at Radio 1 when executive producer Stuart Grundy invited him to sit in for Richard Skinner; he gained a regular Sunday night show the following January following the death of Roger Scott. Later in 1990 Bob's finally secured a daily show kicking off at midnight, following Nicky's Campbell's Into the Night. Three years later, following a "repositioning" of the network, he was back out the door. Here is a large chunk of that final Radio 1 show from the early hours of Friday 22 October 1993. And if you don't already know Bob's final record you'd never guess it. Bob secured more work with BFBS as well as regular shows on GLR. It was Jim Moir who invited Bob back to national radio with a Saturday night show on Radio 2 starting in 1997. He's been there ever since, adding Bob Harris Country in 1999.